If you are going to spend money on a luxury vehicle ride, you should get value for the service that you choose. 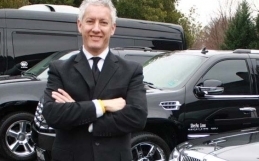 With plenty of companies claiming to offer limos Toronto, there are very few that actually live up to the name of a luxury car service and you can tell by the following characteristics. Every customer in need of a luxury vehicle service has a different set of needs to be addressed. 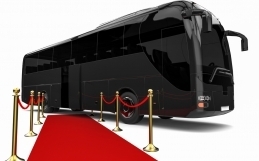 Not everyone who needs a car service wants to travel in a limo or a luxury bus. Companies that understand the kind of diversity required in the market today will ensure they have multiple vehicle options for every customer who walks through the door in search of limo service Toronto. One of the reasons why you would choose to select a limo service over a regular taxicab is simple: for the luxury experience. Many customers often end up disappointed because while they expect the best experience from the luxury vehicles they choose, they find a regular car with a fancy title. True luxury vehicles offer passengers an incomparable experience such as leather interiors, multiple TV screens; surround sound systems and charging ports among other features. You need to extremely careful when choosing limo taxi Toronto services. Some car service are often not willing to hire full time employees due to business fluctuations and will often have part time drivers coming in on weekends to chauffer their clients. You need to find a limo company that has full time professional chauffeurs. Unlike drivers who only aim to get you from point A to B, professional chauffeurs are dedicated to customer service and giving the passenger a great experience throughout the ride. They also have professional driving training to ensure they can deliver to this service as expected. Customization is key to running the vehicle service business. Luxury concierge companies are often willing to further customize their services to suit the needs of the client. Whether you need a newspaper in your ride during pick up, help with a wheel chair or want to make a special surprise for your loved one, the luxury limo company will find a way of making your vision a reality. You should know that you are getting the best. Make a physical visit to our limo company before starting your bookings. You should get to see the vehicles before you make a decision. At Majestic Limo Services we have you covered!